Mr. Farrukh Irnazarov is a Country Director at the Central Asian Development Institute, Tashkent, Uzbekistan. He is also completing his PhD in Institutional Economics at the University of Groningen, Netherlands. In 2014, he was a Visiting Researcher at the Johns Hopkins University, Washington, DC, USA. He is in charge of several research projects on economic development, labour migration, regional trade and transport issues in Central Asia. In 2008-2011 he worked as Researcher at University of Applied Sciences Goettingen, Germany. 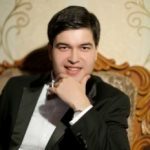 In 2007-08 Mr. Irnazarov was an Associate Faculty Lecturer in International Trade in the School of Business at the National College of Ireland in Dublin where he was also doing his postgraduate research. From 2000 to 2003 Mr. Irnazarov held different positions at the Ministry of Foreign Economic Relations of Uzbekistan. Mr. Irnazarov holds a BA in International Economic Relations from the National University of Uzbekistan, Tashkent (2002), a Master of Social Science in International and European Relations from Linköping University, Sweden (2005), a Master of Science in Business Administration and Economics from Stockholm University, Sweden (2006). 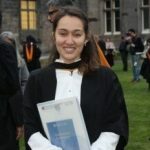 Nazik Muradova holds Master’s degree from the University of St. Andrews Middle East, Caucasus and Central Asian Security Studies program and Bachelor’s from American University of Central Asia International and Comparative Politics Department. Nazik’s academic interests lay in the sphere of regional security and humanitarian law. Her professional experience in the sphere of project design, monitoring and evaluation with Mercy Corps and international NGO, combined with passion to information analysis honed at West Sands Advisory LLP resulted in implementation of the think tank start up in Central Asia in 2014. At GWU CAP Nazik works on energy security prospects in Central Asia.